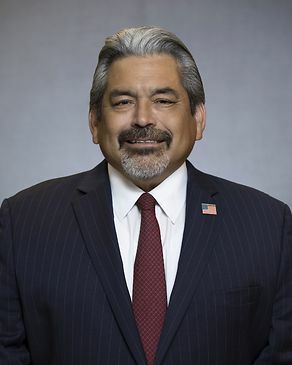 Justice David Medina serves as shareholder in Chamberlain Hrdlicka's commerical litigation section in both our Houston and San Antonio offices. Justice Medina received his Doctor of Jurisprudence degree from South Texas College of Law in 1989 while working full time for Cooper Industries, Inc. and the Traveler's Insurance Company before that. He was a member of the ABA National Moot Court Team. Justice Medina also earned academic recognition as a member of the Dean's List. After graduating from South Texas College of Law, David became the first Cooper attorney hired directly after law school. In his capacity as Counsel for Litigation, David was responsible for a docket that included environmental, product liability, toxic tort, real estate, insurance coverage and commercial litigation. Justice Medina also taught Advanced Civil Trial Advocacy as an Adjunct Professor at South Texas College of Law. In 1996, Governor George W. Bush appointed David to the 157th State District Court. Justice Medina was elected that November and became the first Republican Hispanic Judge elected in Harris County. He was subsequently re-elected. Justice Medina rejoined Cooper in 2000 as Associate General Counsel, Litigation. He was responsible for supervising all aspects of complex litigation and product-safety matters throughout the world. During his tenure, Cooper prevailed in every litigation taken to trial or appeal, including a case to the U.S. Supreme Court. In January 2004, Justice Medina returned to public service when he was appointed by Governor Rick Perry to serve as General Counsel to the Governor. Justice Medina had the privilege of serving the Governor until November of that year, when he was appointed to the Texas Supreme Court. In November 2006, Justice Medina was elected to a full term and served Texas until December 31, 2012. He authored over 90 Supreme Court opinions. In addition to his Judicial duties, David served as deputy-liaison to the Texas Supreme Court Rules Advisory Committee and the Preservation of Historical Court Records. Since returning to private practice in January 2013, Justice Medina has successfully represented clients throughout Texas in various trials and appeals. His clients have prevailed in Harris, Montgomery, Galveston, Ft. Bend, Bexar, Hidalgo, Caldwell, Maverick and Travis counties, and the Texas Supreme Court.